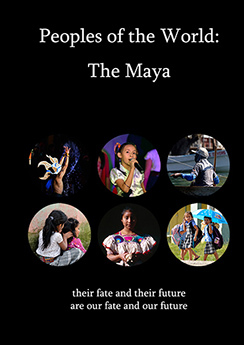 The second feature-length documentary in the Peoples of the World trilogy is The Maya (2016). This film is not rated; we consider it suitable for all audiences, but we advise parental discretion before allowing children to view it. "They created one of the most successful civilizations of all time. But a thousand years after the height of their empire they are still shrouded in mystery. Who were the Maya? How did they make serpents come alive? In this fascinating documentary you will enter their ancient world and find the answers. Learn how they counted twenties instead of tens and how this shaped their calendars. Decipher an alphabet more advanced than the one you use. 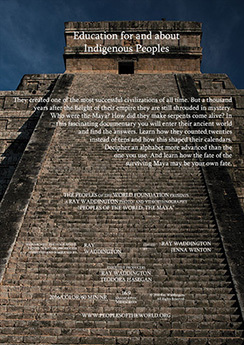 And learn how the fate of the Maya may be your fate." Rent it: You can stream it, for private viewing, for 72 hours for US$ 1.99. Buy it: You can buy it, for private viewing, with unlimited streaming and digital download for US$ 4.99.